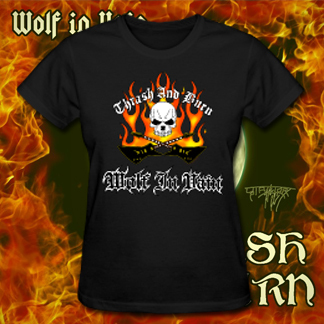 Black t-shirt featuring the new Wolf In Vain logo for the 2013 EP, "Thrash and Burn". 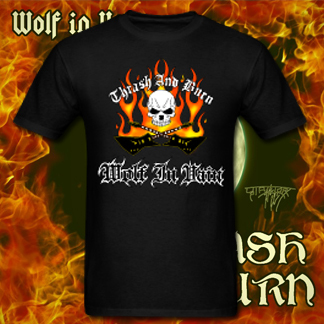 Black t-shirt featuring the new Wolf In Vain logo for the 2013 EP, "Thrash and Burn". The shirt will be replacing the original version shortly.